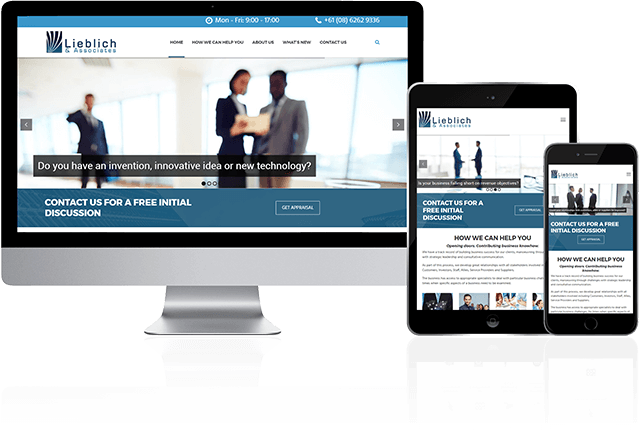 We build custom tailored websites for small, medium and large businesses on time and on budget. Contact us now to see how we can build the website you’ve always wanted. From simple single page websites to thousand page monsters, we’ve got you covered. Our websites are built with WordPress for future proofing and upgradability. Sick of using excel to track your reports? Have a current web based solution that’s clunky and frustrating? We can work with you to produce a custom web application that fits your needs exactly and won’t break the bank. Having a hard time being noticed. From PR to radio/tv/newspaper advertising and beyond, we’ll get your business in-front of the right people. Our copywriting experts have worked for the best, most diverse list of clients, and would gladly add your business to that ever growing list. From punchy one liners to blog articles and beyond, we’re here to help. Logos, banners, business cards, letter heads and stationery, signage, we design it all. We have talented graphic designers to fit any style or industry you can throw at us. So you’ve had your banners, cards and stationery designed. We’ll print it too! Re-skinning pull-up banners? Yep! Water proof branded seating for conferences? We can do it all. There’s several reasons it’s important to keep your opening hours up to date, but chief among those is the rise in mobile customers searching for local businesses by service or product and acting on those searches. Millions of images are shared across social media platforms every day. Images attract the viewers eye far more than a simple textual content post. A high-quality, visually appealing, and shareable image is more likely to actually make the viewer stop scrolling through their noisy and distracting feed, pay attention, then perform that desired action of engaging - Liking, comment or sharing. Toby Creative – the Perth Marketing Agency, delivers affordable integrated online marketing and traditional marketing solutions for local Perth businesses wrestling with how to market cost-effectively in today's rapidly changing marketplace. Toby Creative is a branding and marketing company in Perth, Western Australia that has been servicing local Perth businesses for over twenty years. Our Perth marketing agency uses the talents of local marketing professionals who live in Perth, each with a well-established track record of consulting success in advertising and marketing campaigns delivering ROI improvement with an enormous variety of clients. While we run a lean business we don’t skimp on our skills or delivery of any marketing project: we are firmly committed to make every piece of work the best it can be, and are satisfied with nothing less. We have proven abilities in creating tactics and techniques to break new ground for our clients, driving targeted traffic, that deliver increased conversions and improved ROI. We take the time to understand your local business requirements and tailor a marketing campaign solution, after all looking good is an important aspect of first impressions of your brand. From a beautifully designed website or e-commerce website, with full brand identity throughout design and print, to all types of online advertising, including adwords and remarketing, we deliver results. Toby Creative is a truly integrated Perth SEO Agency specialising in Search Engine Optimisation, Perth Copy Writer and Creative Art Director Sandra Toby and Perth Web Designer James Brine. Our Perth marketing agency is capable of creating customised marketing solutions for Perth business across all areas. Toby Creative is; Google Adwords Certified, Bing Ads Professional Company, a HootSuite Solutions Provider, MailChimp Expert company and a BigCommerce Partner Agency. Toby Creative is open 8:30am to 5:30pm AWST (GMT+8) Monday to Friday. Give us a call to discuss your marketing strategy, website plans or general marketing issues and we’ll gladly help out. The new Tapping Primary School website is a good example of how a fairly large website can be rebuilt so that the content is easily accessed. Other than the fun new design, we rebuilt the menu system and page structure from scratch with the goal of greatly improving usability. Staff are able to add news articles, events, school newsletters and update pages with ease thanks to the bundled customised user guide we provide with all our website projects. Professional photography finished off this project nicely, showcasing the school's programs and methodologies. This website represents simplicity, clean design, functionality and ease of use at a highly reasonable cost. Due to the interest in the Education Risk Solutions section of the Grange Insurance business, this website was created as a sort of online brochure for people seeking these services as the existing website had become too cluttered and difficult to navigate. Several years on it continues to look up-to-date and provide clients and potential clients with an easy way to find the information they need and contact Grange Insurance for a quote. The silk relaxation room website was built on a tight budget, but you wouldn't know it! Professional photography, copy writing, mobile responsive WordPress design, multiple booking/contact forms and store location searcher make this a fully featured website. This website has been serving the client well for more than a year, and continues to stand up to the test of time. 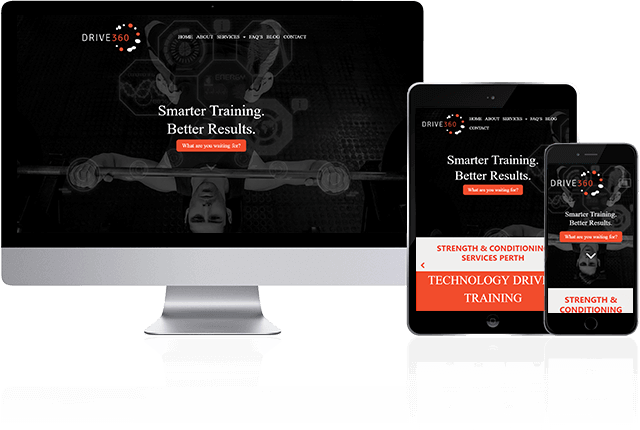 Drive360 was undergoing a change in branding, moving to a larger location and needed a major website transformation to move their online presence along with the rest of the business. We brought custom elements, animation, video and integration with their existing booking platform together to make for a highly functional website. Tapair had a limited budget and an existing website built with dot net nuke. We took the content from the old website, drastically updated the design style, made it functional on mobile and tablet devices, and brought it all together with WordPress allowing them to easily update and add to the website themselves. Another website refresh, this time from Drupal to WordPress. We started with a completely new design, worked with Steve to write new copy and new photography. 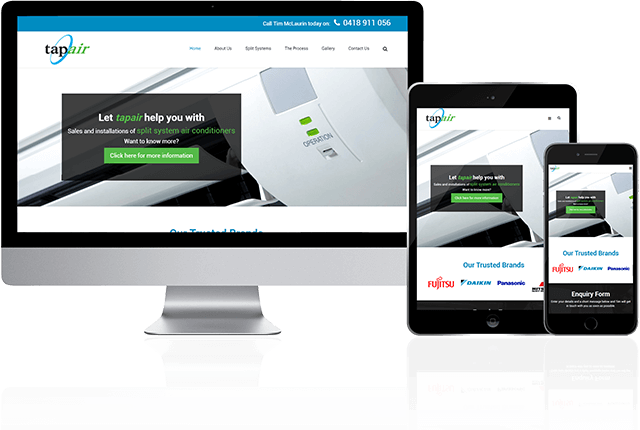 The end result is a professional looking website with an easy to use back-end for Steve and a logical flow for customers.